The BlackBerry KEY2, much like its predecessor, is an odd phone. It doesn't look like most other Android devices out there, with its hardware keyboard and square-ish 3:2 screen. We had a lot of little issues with the phone when reviewing it, but if this unusual form factor really speaks to you, it's easy to overlook a lot of those foibles. What was trickier to live with was the $650 price tag. Thankfully, it's looking like we're about to get a more affordable alternative, as some newly published FCC docs reveal the BlackBerry KEY2 LE. Rumors of a more budget-friendly alternative to the KEY2 have been circulating for a few weeks now, talking about a phone that looks and feels almost exactly like the existing KEY2, but downgrading a few internal components to reduce manufacturing costs — cutting back on the borderline-excessive 6GB of RAM is one option, or maybe knocking storage back to 32GB. While some leaks have purported to show off the new hardware, the device's name was still up in the air — would it be something like the KEY2 Lite? 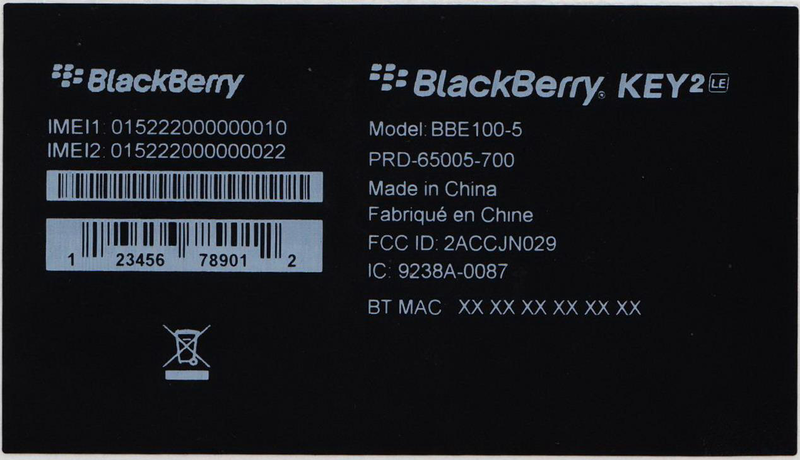 Earlier this week the FCC started publishing TCL's certification paperwork for a new BlackBerry handset that sure appeared to be the model in question. 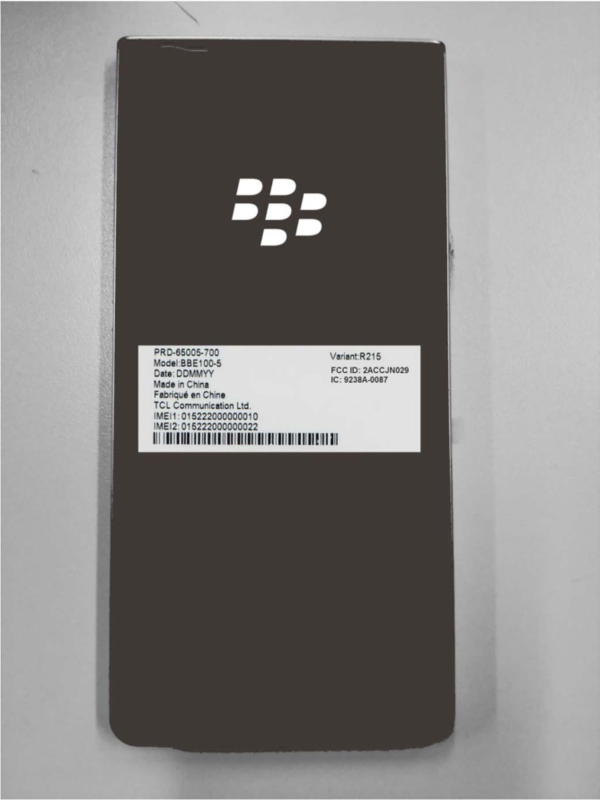 Then yesterday the smoking gun arrived, with the publication of the label you see here, plainly identifying the handset as the KEY2 LE. It's a bit too dark to make much out, but can we see a sliver of camera there in the upper left. 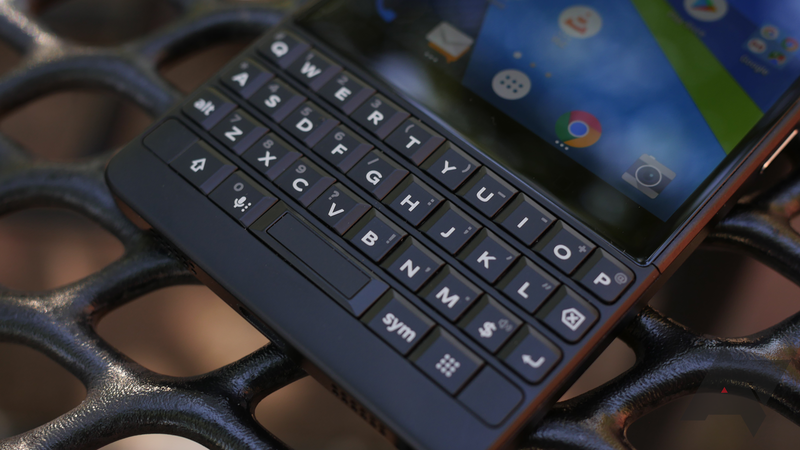 With any luck, the KEY2 LE will be making its debut shortly — maybe at IFA 2018?